It doesn’t matter which part of the world you hail from, there’s bound to be at least one family that doesn’t have the word cringe in their vocabulary. For some reason, these “creative” families decide to immortalize their hilariously embarrassing photos online for the world to see. 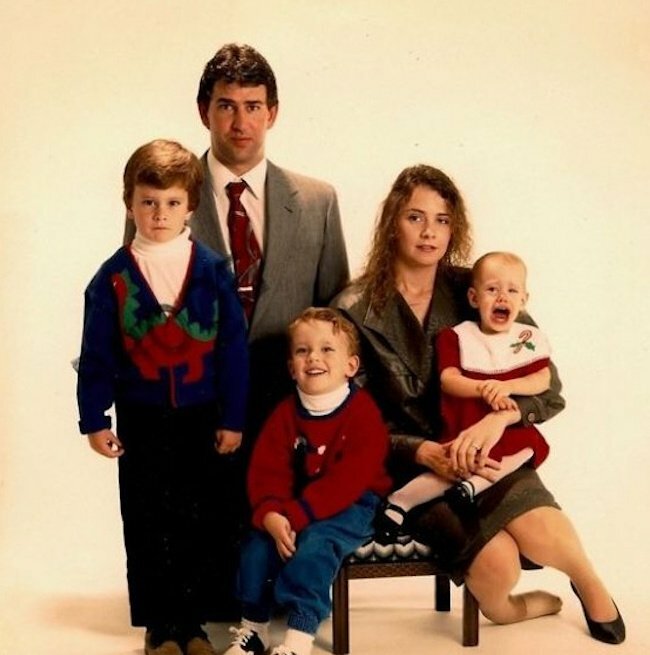 There appears to be only one child in this picture that looks happy to be where he is. On either of his sides, we see an older brother with a little bit of “crazy” in his eyes, a little brother who’s scared witless of the cameraman, a father who looks like he wishes he could be anywhere else in the world, and a mother that’s missing a shoe.